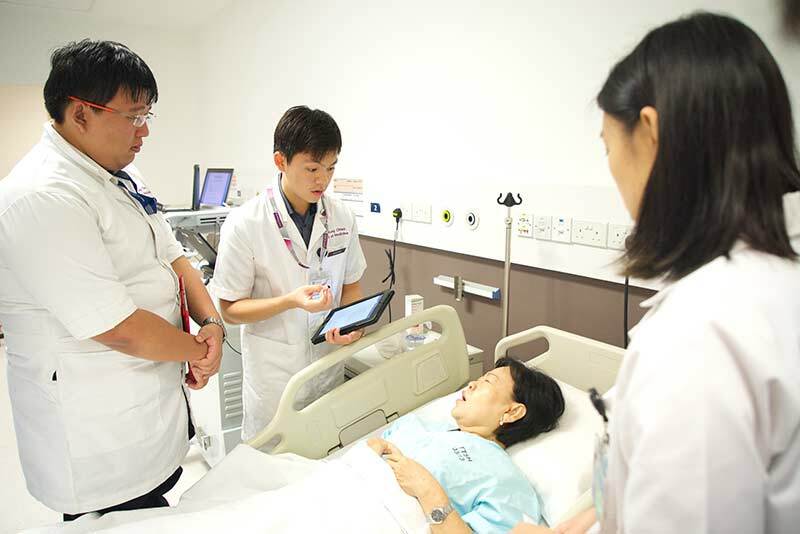 Nanyang Technological University, Singapore (NTU) is developing a virtual tutor designed to assist the learning of medical students at the Lee Kong Chian School of Medicine (LKCMedicine), in collaboration with IBM. LKCMedicine is a partnership between NTU Singapore and Imperial College London (Imperial). In the School’s initial conceptualisation, a key part of feeding the Imperial medical course into LKCMedicine’s new curriculum was the digitalisation of content material. The development of new IT systems at NTU Singapore leveraged this digitalised content and enabled the School to adopt an innovative Team-Based Learning pedagogic model powered by the latest technology. The proof-of-concept Medical School tutor will leverage IBM’s artificial intelligence (AI) and deep learning capabilities and LKCMedicine’s extensively digitalised curriculum accessible to all students 24//7, in order to give students access to a personalised, interactive AI learning support system. The goal is to design a virtual tutor enabling personalised learning for each individual, with algorithms equipped to analyse students’ performance, weaknesses and strengths, and help them polish up areas that they may need help with. Thus, the capabilities of the virtual tutor will enrich the School’s established Team-Based Learning pedagogical model and add to the personalised learning that LKCMedicine students already experience when developing their communication skills with peers and simulated patients in their hands-on science and anatomy practicals and during supervised interactions with patients in hospitals and clinics across Singapore. The virtual tutor may take various forms, such as a mobile application, a computer programme with voice command or integrated into the School’s Team-Based Learning platform. The Tutor will complement personal teaching. It will have the potential to supplement teaching as it aims to deliver personalised and scalable guidance, to enable students to better assimilate and apply their knowledge, and prepare them for clinical practice in a range of healthcare settings, from the clinic to the emergency department. For example, whenever a student wants to recall content on a specific topic to deepen their understanding, the parties plan to design a virtual tutor that potentially can retrieve the relevant learning content, guide the student to help them identify key information and deepen their application of knowledge. In this way, the virtual tutor can become an integral part of the students’ learning experience at LKCMedicine, helping students absorb, retain, and contextualise the vast knowledge they acquire in medical school. In an interview in January 2017, Paul Gagnon, Director of E-Learning & IT Systems and Services, at LKCMedicine had spoken to us about the development of the virtual tutor .